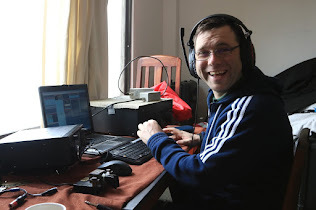 GB3LV - the north London 70cm, IRLP and Echolink enabled repeater, is back on the air again after having been off air for a day or so with an intermittent fault. GB3NL and GB3EN were unaffected. The fault has been rectified by the rapid actions of Roger G8IUC. Roger indicated that an upgrade/maintenance action was due on GB3EN (the Amateur TV repeater in Enfield) and that a new antenna, feeder and other sundries would be installed. The time scale for the installation is not known.